These instructions apply if you have purchased one of C’est La Sara patterns that do not need additional scaling! If the description states that the pattern is a 1:1 scale, please read these instructions carefully. This tutorial is also available in print version here! If you need some cosplay patterns, click to download below! 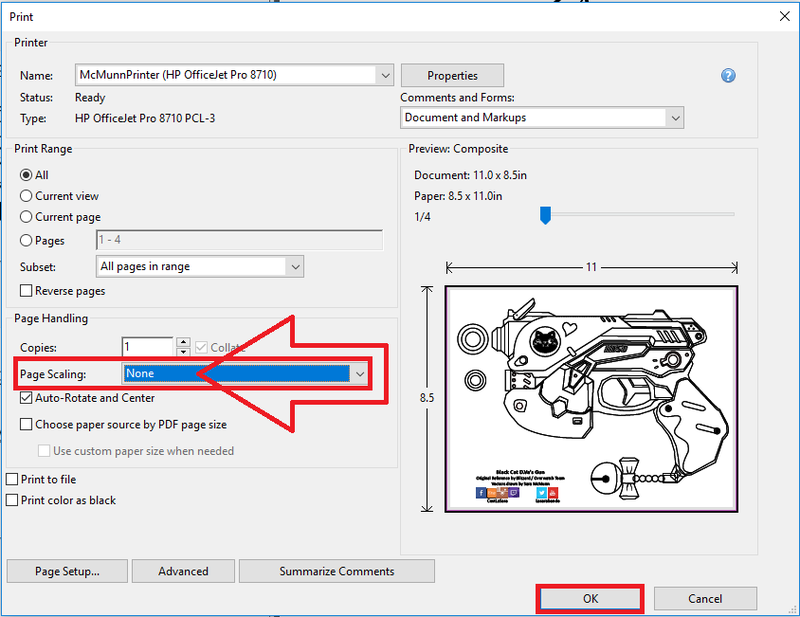 Open the correct PDF file size that your printer supports for standard printing (A4 or US Letter). Under “Page Sizing & Handlng” – Select Actual size. DO NOT select “Fit”! 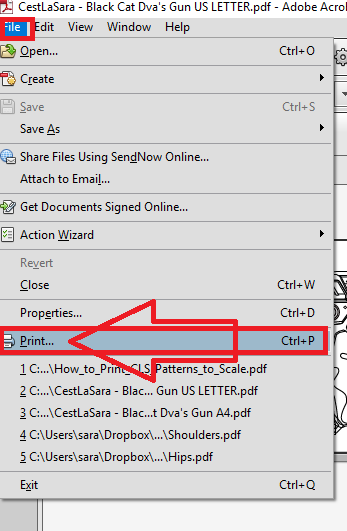 Click [Print] to print the PDF. 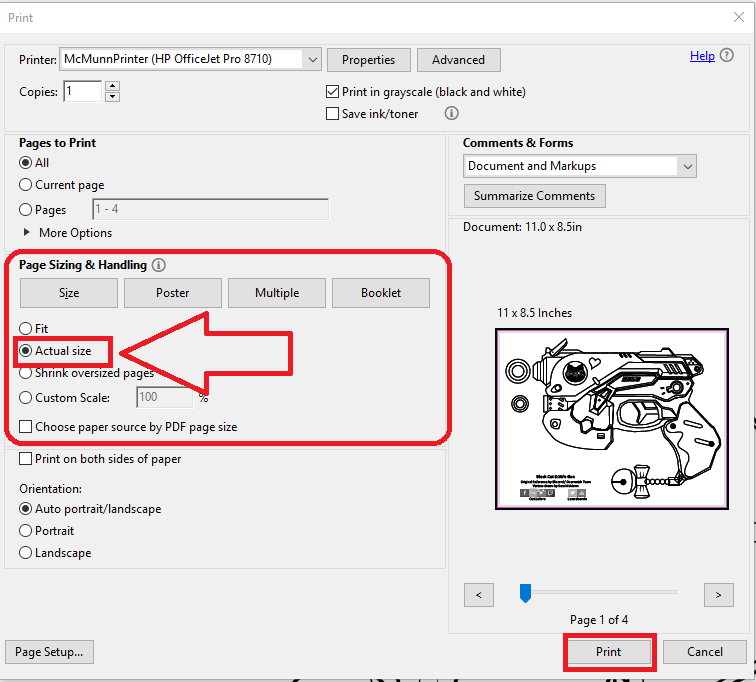 On the Adobe Print dialog, ensure that Page Scaling is set to NONE. 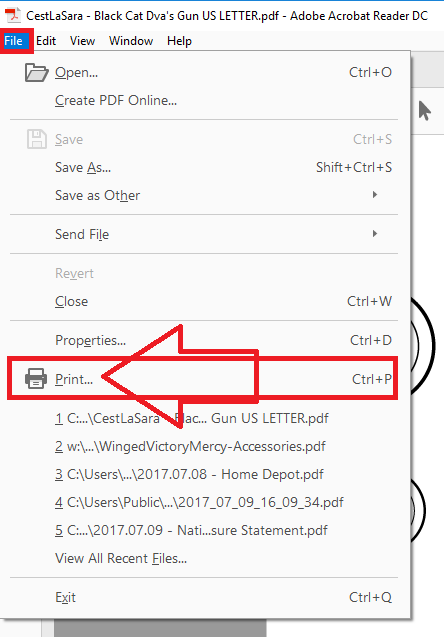 DO NOT select “Fit to Printable Area”!